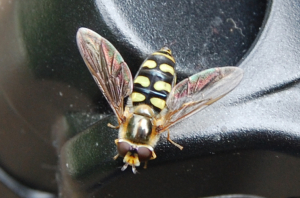 Observation - Lunar hoverfly - UK and Ireland. Description: Comma shaped markings that don't reach the edge of the abdomen. Comma shaped markings that don't reach the edge of the abdomen.